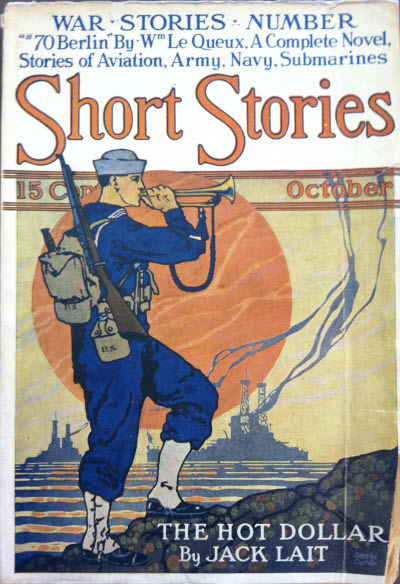 ON OUR shelves in the SHORT STORIES offices in Radio City are copies of the little old magazines that were the first numbers of a periodical which first appeared in 1890. "It is intended to entertain and not particularly to instruct, " said an announcement in the first number, "while the lowest reading intelligence can rise to an understanding of its material, the highest will not find it uninteresting, commonplace or beneath appreciation. " 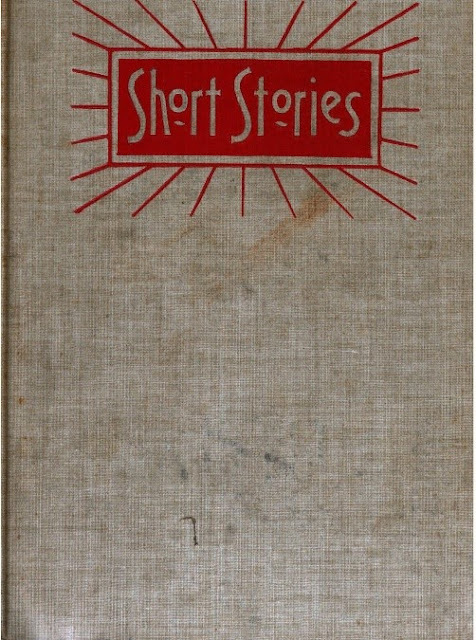 Well, that was fifty years ago and during all that time SHORT STORIES has kept to its main purpose—to entertain. Consider for a minute the world of 1890; Benjamin Harrison was President of the United States, a country of 62, 622, 250 people; that year a gigantic skyscraper was completed in New York City—the World Building, 311 feet from curb to flagstaff (the Empire State Building is 1, 265 feet tall); the bill admitting Wyoming to the Union was signed; Helgoland was ceded to Germany by England in settlement of certain claims in Africa; the first execution by electricity took place in the United States; the president of the Mormon Church published a decree forbidding plural marriages; the first parliament in Japan was opened; Sitting Bull, the Indian Chief was killed by soldiers in South Dakota. Those were the days when the infant SHORT STORIES first appeared in circulation, and as it grew, literary giants indeed were represented in its pages. Looking back over them we find the names of Kipling, Conan Doyle, O. Henry, Gilbert Parker, Bret Harte, Mark Twain, W. W. Jacobs, Laura E. Richards, Gertrude Atherton, Ambrose Bierce, to name only a few; early stories by such divergent modern celebrities as Ray Stannard Baker and Ellen Glasgow were written especially for our pages. "The Cook’s Victory" by a youngster of 19 who bore the name of H. L. Mencken, appeared in SHORT STORIES in 1900. In a recent letter Mr. Mencken says that the story was a by-product of his early reporting days on the Baltimore Morning Herald, when he covered a raid on an employment agency which specialized in shanghaiing men for the Chesapeake Bay oyster fleet. The magazine somewhat in its present form began to emerge under the editorship of Harry Peyton Steger. Bob Davis recalls something of Steger in a letter he wrote us about him. 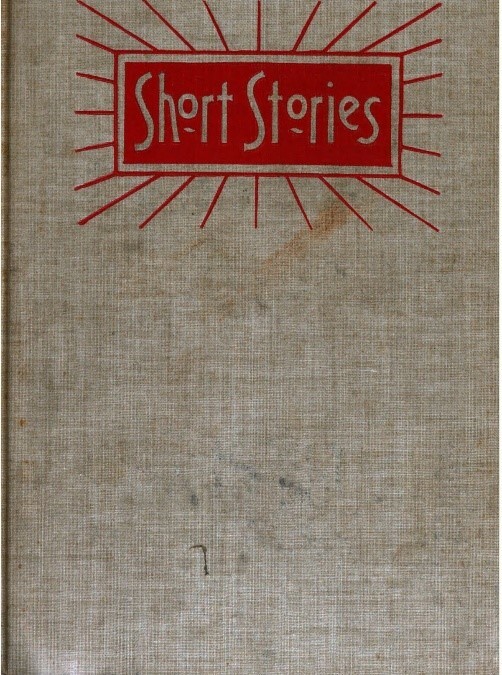 "Harry Peyton Steger" said Mr. Davis, "during his all too short life, set so fast a pace for editors of short fiction magazines to follow that before they knew it they had acquired a standard in technique and editorial quality which gave an extraordinary impetus to readin’ even after Steger himself had passed from the stage. He had the gift of intimacy with writers. He was inspirational, instinctively aware of the public demand, and at the same time he was a man of fine appreciation. Mortals of his type dominate generations." By Steger’s time SHORT STORIES had been taken over by Doubleday, Page & Company, and when Steger died in 1912, Harry Maule became its editor, and continued to guide the policies of the magazine for many years. It is an interesting fact that for a time Margaret Porter, O. Henry’s daughter, was its assistant editor, and in each issue there was an O. Henry story. Magazines were not so specialized at that time as they later became, and there were probably a tenth as many of them published as there are today. The general fiction magazine was lessening in appeal and magazines for more highly selective publics were taking its place. With its excellent author background, in SHORT STORIES a very definite editorial policy of red-blooded fiction was growing. 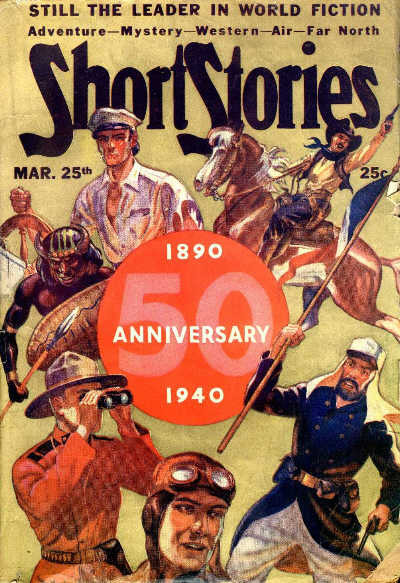 Our appeal was to readers who wanted adventure and action and the thrill of far places; whose interest was in real characters functioning in situations and emergencies calling for resource and gallantry; who gloried in the exploits of the pioneers in our own West and on the frontiers of the world. We evolved the idea of the big red sun on our covers as a distinguishing mark, and we take pride and satisfaction in the thought of the millions of readers to whom that cheerful sphere has meant a promise of good stories, well told by the best writers in their respective fields, men who know the value of accuracy of detail as well as of an enthralling plot. And since nothing is constant but change, times have moved on, and under its present ownership SHORT STORIES has grown up with a new generation of readers. While other magazines have lowered prices, changed policies and turned some strange handsprings in a mad hunt for circulation, we feel that we have resisted those temptations and depended on reader- loyalty as the backbone of our progress. In conclusion, a word about this present anniversary issue of SHORT STORIES. We wanted to make it as typical as possible of the magazine as a whole, we wanted to please as many of our multifarious readers as we could; so you’ll find in it old friends such as Black John Smith and Hopalong Cassidy—Hopalong was the almost universal choice for a reprint of an old favorite; newer friends such as the Hawkins twins and Caffrey’s airmen; and significant of the portentous days in which we live—a story of the present War. It’s by a man who is living very close to it at the present time and who has had many yarns in SHORT STORIES in the past—Major Gilson. We are sorry that there isn’t a Tuttle story in this number, but a perfectly grand one which introduces Hashknife to our friend Cultus Collins came along just too late to be included; it will appear soon in our pages. So —we leave with you this issue of your magazine, we hope you like it, and that you’ll all be with us for the next fifty years of SHORT STORIES. At one time I had most of the pre Doubleday issues of SHORT STORIES. But back then in the 1890's and early 1900's it was just not an interesting magazine. I remember that it used many reprints of mainstream literature. I passed them on another collector that Sai and I both know well and he has successfully buried them in some forgotten storage unit. One day they will surface again and probably be buried again! I've read a few of those issues myself, and i agree that it wasn't a very interesting magazine - mostly reprints. I don't collect it in this time period. Sometime in the late teens/early twenties, it became a high-quality pulp, and from 1930 to 1937 it was arguably as good as, if not better than Adventure. I'll have another article next week discussing the last issues of this magazine.